My coworker Ted is making loops around the office on his bike while waiting for some part of his program to finish running. Inspired, Melsa jumps on hers, too. I'm so tired. How many coffees has it been? I'm wearing headphones and listening to the Slavonic Dances by Dvořák to drown out my coworkers' chatter. Suddenly, they look at each other with raised eyebrows. Lifting up one side of my headphones, I hear raised voices coming from the far corner of the office. I ask what's going on. "Oh, just a nerd fight," says Ted, leaning against his bike. A four-letter spell has been cast upon us: H-A-C-K. 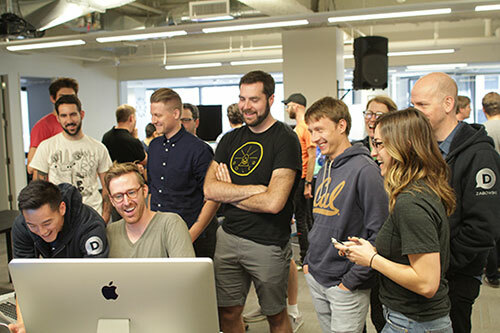 I've been a programmer at Disqus for almost three years, and my favorite time is when we shut everything down and declare a hackathon, so I volunteered to help run the last one. The general idea behind a hackathon is that it fosters innovation and an esprit de corps in the company. This was basically our Disqus hackathon: dreaming ideas, forming teams around them, and then spending a week, July 21-25, to make them real. Some ideas are deemed low priority simply because you don’t have the time to properly sell it. Hackathons give you a chance to do that. In every hackathon I’ve participated in, there are at least two projects that attack the same problem. In this one, we saw two teams both dig into our data to pull out recommendations for users. In other words, if you like to comment on Disqus (or if you’re just a lurker), how can we help you find the conversations you care about? The Internet is a huge place, and you’re only seeing a tiny fraction of it, but the people you interact with—the other commenters and readers on Disqus—are, after a few degrees of separation, seeing almost all of it. It turns out that this theme, how to bring the bigger world of Disqus to you, was something that nearly all of the projects addressed. From the data angle, we worked on two projects: Disqus Daily and Deq (we’ll be focusing on Disqus Daily). The goal was to use our data to find articles, people, Disqus communities, or even advertisements that would interest you. Let’s say you’re a Disqus user. 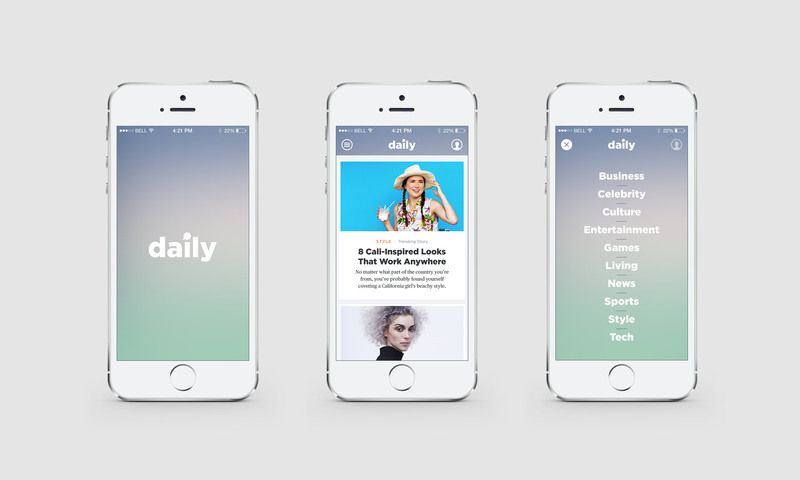 When you open Disqus Daily on your smartphone, we look at all of the articles you’ve read over the past several days. For each one, we get every other user who has seen that same article. And for each of those users, we gather all of the articles they have seen in the past several days. From that group, we identify the users who are similar to you and recommend the articles that were in their reading list but are not yet in yours. One of the engineers who worked on this project, Kashif, told me he was surprised by how well this approach worked. He said the first time they got everything working, the very first recommendation the system made was a blog post written by a college friend that he didn’t even know had a blog. “I’m never surprised like that when I go on Zite,” he said. If we’re going to link you to a conversation that we think you’ll be interested in, what exactly would we show you? Would it be a comment on that thread from someone you follow? That’s probably not enough for you to decide if you’re actually interested in clicking through to the discussion. Thus, the Summario team built a scraper that visits pages that use Disqus and pulls the metadata: headline, summary, keywords, images. Voilà! Summation in seconds. Homeception was inspired by our work at disqus.com/home, a fairly new product we hope will become your hub for compelling conversations. The “ception” part refers to the way we bring the home feed into a sidebar next to the comments section. 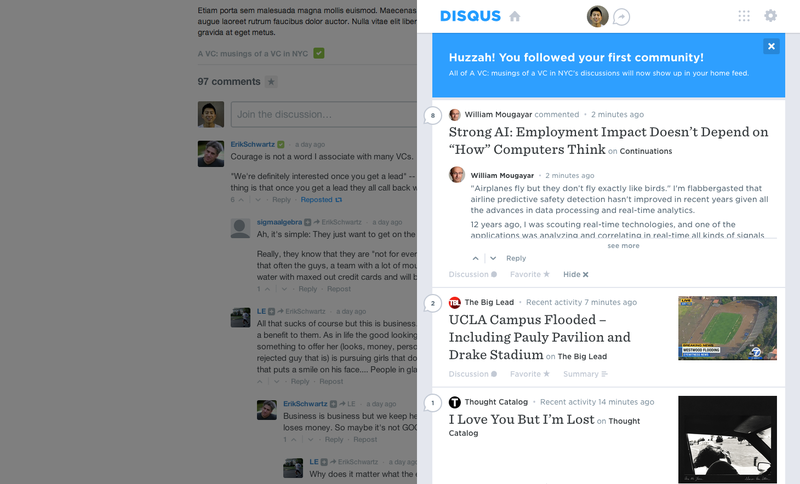 Imagine you are new to Disqus and for the first time ever, you favorite a conversation by clicking the star. The star then floats up and over across the page while the home feed simultaneously slides in from the right, catching the star and placing it in your profile. Now that hack week is over, a different kind of hacking begins—the butcher shop kind. We take the ideas and the projects we’ve worked really hard on and we hack them apart: we take the pieces that we like and can incorporate, and throw away the ones that we can’t do anything with. No hack project emerges intact into the outside world. They are proofs of concept, tokens of our ingenuity—and totally worth staying late at the office.